- The Examiner reports that guitarist Phil Collen of the 80's heavy metal band Def Leppard visited Chuck Levin's Washington Music Center in Silver Spring Wheaton to borrow a guitar while staying in the area. 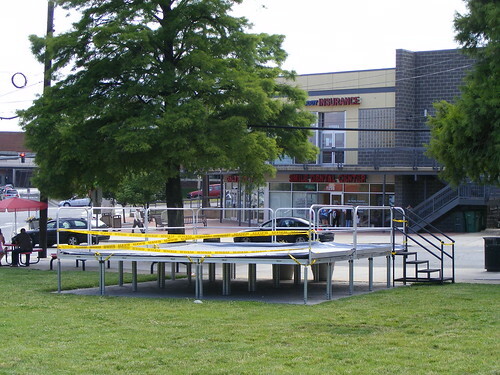 Sources say Collen also delivered comments on the redevelopment of Downtown Wheaton - suggestions for which have included creating a performance venue for musical acts older than I - but we haven't been able to find them. 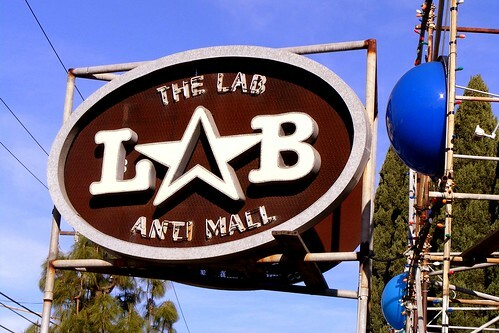 - The folks who run The Lab and The Camp, two "anti-malls" mixing art and commerce in Orange County, California that I visited and wrote about last week, sent JUTP some love. "Thank you for the kind words and great pics on your blog," wrote development director Chris Bennett in an e-mail to us. "We have an amazing group of artists, builders, and businesses to work with to make these places unique." - Learn more about First Baptist Church's development plans at the Seven Oaks-Evanswood Civic Association's monthly meeting. The congregation, located at Wayne Avenue and Fenton Street in Downtown Silver Spring, wants to build five stories of apartments and retail on the property adjacent to a new church. It's at 7:30pm Thursday in the basement of the Silver Spring Library at 8901 Colesville Road. - Marco Polo's Treasures, a home furnishings store specializing in imports, will close its store in Lyttonsville at the end of the month. Owner Deb Sagerholm opened the outlet, originally called Ancient Rhythms, in Bethesda in the early 1990's before moving to Kensington in 2004 and eventually to a warehouse off of Brookville Road.